Jim Koch, Founder and President of Boston’s Samuel Adams (Boston Beer Company) has been at the forefront of America’s Brew Revolution. When he entered the micro/craft beer scene, there was only a hand full of true craft beers being brewed. Today, Samuel Adams is perhaps the most well-known name in Craft Beer industry. Since launching their flagship brew, Boston Lager, Samuel Adams has released over a hundred different variations of dozen of styles, but none has approached the extremeness in style as Utopias. Utopias were first released in May of 2003. At the time it was rated the most potent beer on the planet, weighing in at 24% ABV. The second release was a bit stronger at 25% ABV. The newest release, just hitting the shelves comes in at a whopping 27% ABV. Sweet fire, with a rich malt and wood complexity. 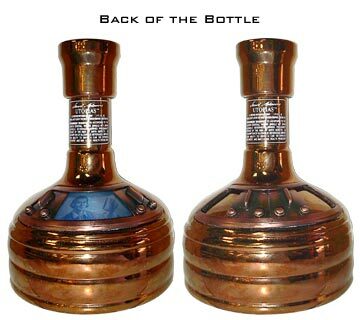 Truly the epitome of brewing's two thousand year evolution; Samuel Adams Utopias® offers a flavor not just unlike any other beer but unlike any other beverage in the world. The 2009 release is a blend of batches, some having been aged up to 16 years in the barrel room of our Boston Brewery, in a variety of woods. We aged a portion of the beer in hand-selected, single-use bourbon casks from the award-winning Buffalo Trace Distillery. The latest batch also spent time in Portuguese muscatel finishing casks, as well as sherry, brandy and Cognac casks. This flavorful, slightly fruity brew has a sweet, malty flavor that is reminiscent of a deep, rich vintage port, fine cognac or aged sherry. My friend and fellow researcher, Larry each bought one bottle of the first release in May of 2003. We decided one bottle would be opened within the year, the other in the distant future. The resealable twist cap is supposed to keep the "beer" in fine condition much as brandy or sherry can be recorked (time would tell). 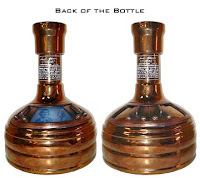 The collectible brew-kettle shaped decanter is a copper-coated ceramic. A limited Edition # was stamped on the bottom (01644). It pours a dark toffee/amber color. There was no head or lace, just a light syrupy slide down the inside of the glass when tilted. A sherry-like aroma mingles with maple, lemon peel, caramel and alcohol. A faint whiff of vanilla lingers throughout. Nutty caramel, sherry, raisins, maple, honey and candy sugar are housed within a solid, slightly smoky malt. A mild lemony citrus flows from the middle to the back of the tongue. Traces of milk chocolate and oranges are noticed, as is a slight saltiness. 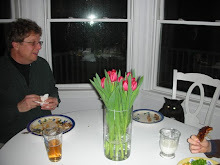 Fumy and warming alcohol is present throughout. This brew still maintains a distant ale quality, however creamy, oily and brandy-like. The 2011, and strongest version thus far has just been released. One is being saved for me at A Taste for Wine and Spirits in Cohasset. This will be opened on October 23rd, for my son, Liam’s wedding reception. Ain’t love grand?